Tawanda Simms is my Wedding Planner FOR LIFE!!! Tawanda Simms Elite Events is a life saver. My fiancé and I were in deep water when our first wedding planner no longer felt that they were capable to assist us for our wedding planning. We were less than 30 days until it was our wedding and did not know what to do. Tawanda was recommended to us and words cannot express how we feel having her being part of our wedding experience. SHE IS BEST AND WILL BE MY FAMILY’s WEDDING PLANNER FOR LIFE!!!! Whoever needs someone who is efficient, professional, reliable, amazing and passionate on what their doing, Tawanda Simms is the one you NEED!!! 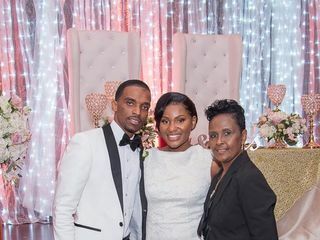 If you're looking for a professional on-time wedding planner Tawanda Sims and her team will be the ones to get it done. From the beginning to the end the whole wedding experience was EPIC! Our special day was 7/1/2017, ceremony and reception at a beautiful location in Davie, Fl. Twanda and her assistant Dee despite the heat of south florida made our day so cool! She remained professional yet felt like family and understood that it's our day and what was important to my wife, she made her priority. Her attention to detail was impeccable and everywhere we turned, either her or Dee were there for us. I cannot thank them enough my only wish is that the day never ended. Thank you so much Twanda and Dee gor making our day so memorable. The entire Elite Events staff were very professional and personable. Tawanda has a beautiful disposition, which is a great asset when putting your dreams in her hands. Time is always of the essence and I must say, the I's were dotted and T's were crossed. Communication is a must and can be a tad bit draining when planning that special day. Tawanda maintained professionalism while keeping the wedding party and all participants on cruise control. The Elite Events experience was absolutely fabulous! Tawanda Sims is a superstar! She made my wedding a roaring success and I can't thank her enough. Thank you Chelsey. It was my absolute pleasure!! Thank you for choosing Elite! Tawanda is the best from the the beginning to the end. Everything was perfect on my day!!! It was great for my husband and I not to worry about certain things while she planned our wedding. She answered phone calls, text messages, and emails in a timely manner so I didn't have to turn into a bridezilla.. Lol. I told her what I wanted and she took it from there, and boy were we surprised!! Lol . We would use her again for all other party purposes.. Thank you love for ending my year with a bang ?? 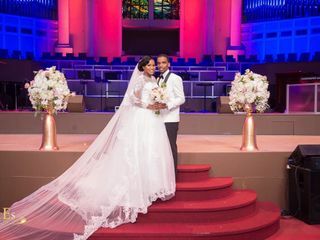 Tawanda and her team just completed my wedding, and I must say the experience was amazing. 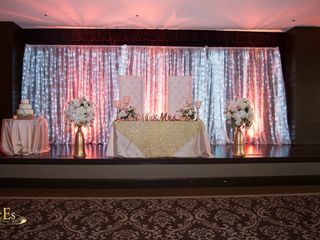 I was very pleased to have Elite Events to manage and produce our special day. If you are looking for an unforgettable experience, One call will to Elite will do it all. Thank you Team Elite, for creating our vision with style. Tawanda Sims and her team is wonderful to work with. They provided a well organized event. Her staff were courteous and everything was beautifully presented. Tawanda was a pleasure to work with and her services are excellent. 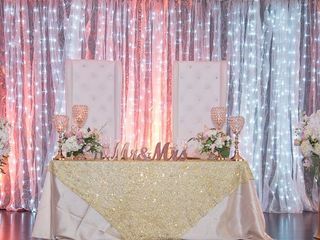 Elite Events is hands down the best planning co. I've ever worked with. Tawanda Sims and her staff were the most accommodating and professional team of people I've ever worked with. She held our hands through every step of the planning, even late at night and after hours. She always made herself accessible and responded in a timely manner. Her ideas and suggestions, were impeccable and so classy and sophisticated. 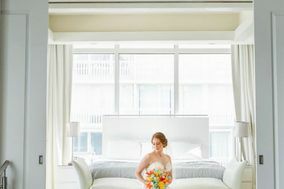 Tawanda and her team went above and beyond me and my husband's expectations of our dream wedding. They gave us a FairyTale. Our guests are still talking about our wedding........calling it the wedding of the century. Thank you Elite Events, but especially to you Tawanda. You are the best wedding planning out there and if future brides don't hire you, they need to, because they are missing out on the best Wedding Planner in S. Florida. Elite Events is going places. I don't even know where to begin Mrs. Tee is thee best planner ever, hands down. She was there from start to finish providing advice, suggestions, and being an ear to a picky bride (that's me lol). She has a very sweet spirit and my wedding would not have been so successful without her. Me and my husband came up with the ideas but she and her team produce them. The staff was professional and friendly. We were very pleased with our wedding. There is no such thing as perfect but to us our wedding just that. If you are looking for a wedding planner she is a must have. Mr. & Mrs. Bosket Approves this message. Thanks Mrs. Tee. Elite Events, you all were truly a blessing!!! Every call was answered & everything was handled with such professionalism. We look forward to do more occasions with you, appreciate you all!!!! The BEST Event planner on this side of the coast. I would recommend Elite Events to ALL for ALL your special occasions. Professional, easy to work with and very accommodating. Thank you so much Carmen and Luke for choosing Elite Events to manage your wedding day festivities. It was absolutely amazing. Not too mention The Atlantis In Nassau Bahamas (the cove) was then BEST! I obtained the services of this company in April of 2013 for my wedding in June 2014. When I met with Mrs. Sims for our event, I immediately felt a connection to her. I had to have her plan our wedding. Professionalism beyond amazing, full of ideas and organization like no other. They made our "dream" feel like a dream. It was so much more beautiful than we could've imagined it to be. We had a BALL and received so many compliments. Not to mention the surprise they helped my family pull off. PRICELESS!!! Its all in the name……….ELITE service is what you will get. Elite Events took my vision and made it a reality, as well as a dream come true. I love every aspect of the company. I'm sad now because all the anticipation of my day has now come to an end:( Looking forward to using Elite Events for future upcoming events. You guys really rock!!!! 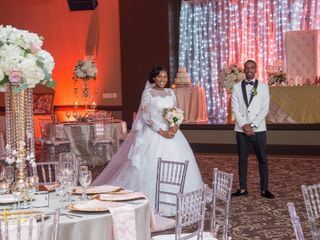 Mrs. Tawanda Sims of Elite Events Management provided a very stress free and professional experience. It was such a pleasure to have her manage my event from start to finish. Mrs. Sims did not miss a beat. She was so efficient on all aspects of the event. She made the event FABULOUS!!! Mrs. Sims is truly a gem and a rare one. My guests are still talking about the great time that was had (my husband and I as well). I would recommend ELITE EVENTS MANAGEMENT to anyone who is looking for a professional, classy and well organized event!!! Elite was contracted last minute and delivered on point, professional, and proficient service to make my fashion fundraiser a huge success! i would recommend Tawanda Sims to anyone looking for quality! 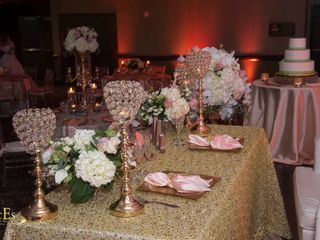 Elite Events- Tawanda Sims and her team were nothing but professional and thoughtful when planning our wedding. There was not a detail that was forgotten. I so appreciated when my wedding day arrived and I walked into the reception hall and found that my "vision" was appearing before my eyes. The decor, the food, the services were nothing but excellent and everything was beyond my expectations. Tawanda and her team did everything with haste and aplomb. All of our guests felt that they were being taken care of at all times and they were very complimentary. Thank you to a fantastic team that works together beautifully. You certainly are "On Point"! I want to take this opportunity to thank Elite Events Management for a job well done. My family and I were very pleased with the service given to us by your staff. My sister was very speechless after the party. Her 50th birthday party was a night to remember thanks to you. The entire decor of the hall was just outstanding and amazing. You really set the atmosphere for the entire guest and we are grateful for your talents and skills. Thank you so much. I really enjoyed you and your family. 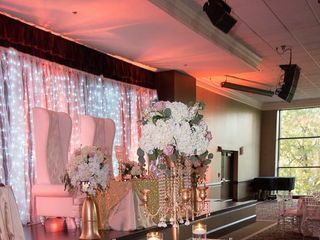 Elite Events Management is professional and consistent in making sure you have your dream wedding. They use your ideas and bring them alive. The staff is friendly and you could tell that they enjoy satisfying their customers needs. I would definitely recommend this company for any event, especially If you want your event to be unique and well organized.